Mission to (dit)Mars, a theatre arts collective serving Queens artists, presents the fourth in a series of free play readings as part of the 2013/2014 LAUNCH PAD Reading Series. 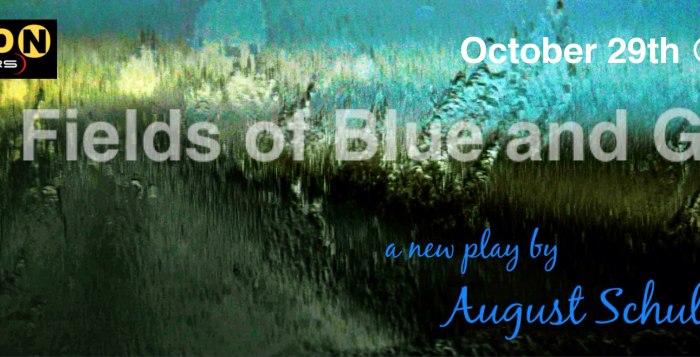 THE FIELDS OF BLUE AND GLOW, a new play by August Schulenburg will be directed by Heather Cohn and features David Shih and Jordan Mahome. The play follows Jon, a wildly successful author of horror fiction, called (to his dismay) the “Asian American Stephen King”. One dark and stormy night, Jon’s friend Daryn, who disappeared for a few years, comes knocking on his door. The Fields of Blue and Glow is a ghost story which tackles the themes of childhood, growing up, and the power of crossing over into something new. This free play reading will be held at LIC Bar in the Carriage House located at 45-58 Vernon Blvd in Long Island City on +Tuesday, October 29th +at 7pm.